The Lagos government has made an amendment to the act after huge public backlash. The Lagos State government has announced a reduction of rates in its controversial new Land Use Charge Law following public backlash that has trailed the act. The reduction was announced by the state government after the decision was reached at an executive council meeting on Thursday, March 15, 2018. The state's Commissioner for Finance, Akinyemi Ashade, disclosed the decision at a press briefing at the Bagauda Kaltho Press Centre in Alausa after the meeting. He said the government consulted relevant stakeholders to arrive at a downward review of the original rates in the new law. According to the state government, commercial fee charge is reduced by 50%, while owner occupier third-party fee is reduced by 25% and the owner-occupier fee charge is reduced by 15%. The review means that commercial property owners with properties valued at N20 million will now pay N45,600 per annum instead of the original N91,200. The 25% reduction in the property occupied by owner and third party and property used for industrial and manufacturing purposes categories now means that properties valued at N20 million will be expected to now pay N23,040 instead of the earlier N30,720. The category of owner-occupied properties will be expected to now pay the government N7,752 for a property valued at N20 million, instead of the original rate of N9,120. According to the review, the penalty regime for late payment of LUC has also been waived completely. Therefore, LUC payers who have received their bills will no longer be penalised for late payment of bills issued in 2018. Other rates and reliefs remain unchanged and will be implemented as stipulated by Law. These include 40% general relief, 10% for 70 years and above, 105% for properties owned by persons living with disability and 10% for properties that are 25 years. Owners of property across all categories will now be allowed to make payments by installments while those who have paid the original amount will be awarded tax credits to the extent of the excess amount paid and carried forward to 2019. Properties that are exempted from the operation of the law are government-owned properties, and other properties used for public, religious and charitable activities. 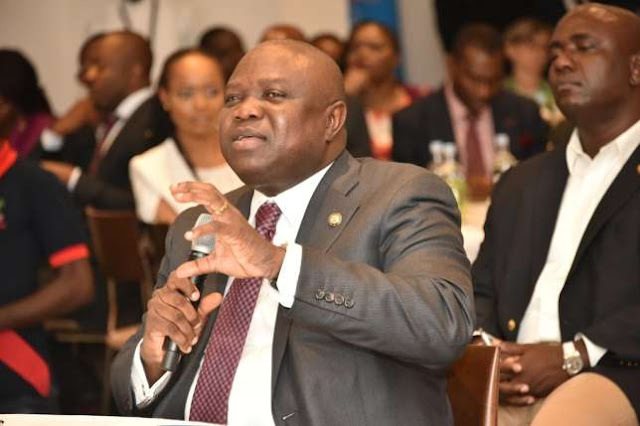 Speaking on the review, Ashade said, "The Lagos State Government, in its desire to build world class infrastructure and improve the well-being of its citizens reviewed the Land Use Charges payable by all property owners. This exercise was received with mixed feelings by various interest groups who expressed serious concerns. "In line with this administration's tradition of inclusive governance and civic engagement, and as a Government that is committed to the welfare of its citizens and understands the importance of continuously engaging the populace, we undertook extensive dialogue with various stakeholders on the Land Use Charge (LUC) revised Law and its implementation. "Consequently, we received a wide range of responses from our dialogue with various stakeholders on the amended LUC Law 2018. "The stakeholders included the Organised Private Sector, Nigeria Bar Association, Real estate investors and developers, Landlord and Resident Associations, Community Development Associations, Civil Society Organisations, Lagos Chamber of Commerce and Industries (LCCI), Nigeria Institute of Estate Surveyors and Valuers and several other professional groups." On January 28, 2018, the Lagos State House of Assembly passed the Land Use Charge Law 2018 to repeal and replace the Land Use Charge Law 2001 which consolidated and replaced all the state and local government taxes payable on property in the state. Governor Ambode signed it into law on February 8, 2018. Certain provisions in the new law led to public backlash against the state government as it was deemed as excessive taxing of property owners with astronomical increase in the rates.